As an aspiring GMAT test-taker, it can be hard to sort through the overwhelming amount of test prep materials that are available. 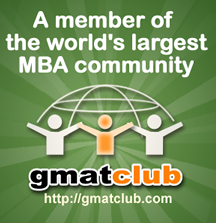 In working as a GMAT tutor, I’ve met students that have used the books of all the major companies – Kaplan, Veritas, Princeton Review, and Manhattan GMAT. Often, they wonder exactly which are the most cost-effective materials forimproving their GMAT score. Based on my experience teaching the GMAT, I always give the same advice: buy just one Manhattan GMAT book. It costs only $20, and gives you access to MGMAT’s excellent online materials. 1. Six full-length online CAT exams. MGMAT’s software is excellent – when reviewing the exam, you can see the difficulty level of each question, and the time you spent answering it. 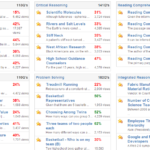 You also get statistics on your % correct for each question type. This allows you to focus on your weak areas. If you want to score 700+ on the GMAT, these practice exams are absolutely essential. I’d take as many of them as possible. 2. Flash cards. You get access to online flash cards, which can also be printed. Each one tests a single concept.  These will help you fill in the small gaps in your GMAT content knowledge. 3. A 25-question Question Bank for the particular book that you purchased. Now, the books themselves from MGMAT are excellent as well. Since there are a total of eight different books available, you may wonder which one to buy. I recommend the following based on your particularweak areas. 1. If you have trouble with word problems, or translating words into algebra, try the Manhattan GMAT Word Translations book. It has specific problems and exercises aimed at improving this skill. 2. 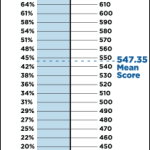 If you’re already a high-scorer (600+) looking for an extra boost, I recommend Manhattan GMAT Number Properties. This book has excellent techniques for working problems that involves prime numbers, factors, and factorization, and odd-even properties. 3. If Sentence Correction is your weak point, buy Manhattan GMAT Sentence Correction. This is by far the best SC correction book on the market – it has a particularly strong section on idioms. The idiom section is very useful for non-native English speakers, as it has examples of “CORRECT”, “SUSPECT”, and “WRONG” uses of each particular idiom. If you haven’t already, I highly recommend picking up a MGMAT book. 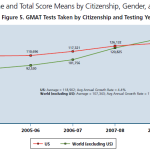 It will be among the best investments you can make in your GMAT prep. p.s. No, I don’t work for Manhattan GMAT 🙂 But I do use their books with my students. Are the test questions different if you buy more than one book? I assume you get access to 6 tests with one book, but does buying another book give you different tests? I believe the six tests are the same regardless of which book you purchase. Regardless, all of MGMAT’s tests are adaptive and draw from large question pools, so you can even retake them multiple times. 1. If i buy 1 MGMAT book worth 20$,how can i get access to these 6 online test which is worth 39$. 2. Are there any repeated questions if we consider all 6 test,what i mean is will there be any duplicate question among these 6 tests. 1. If you buy a physical book, they give you a code to unlock the six online exams. No need to spend the extra $39. 2. Nope, no repeated questions as far as I know.